Megan Rupe / The Collegian Planet Pumpkin, on 640 E. Nees Ave. in Fresno, has two tents of pumpkins, a Ferris wheel, slide, bumper cars and a variety of activities including face painting. Planet Pumpkin, on 640 E. Nees Ave. in Fresno, has two tents of pumpkins, a Ferris wheel, slide, bumper cars and a variety of activities including face painting. Located in the empty lot between Walgreens and teppan-yaki restaurant Sakura Chaya at 640 E. Nees Ave. in Fresno, Planet Pumpkin has a little bit of everything. The patch features two tents full of pumpkins, a few vendors, face painting for little ones, a food stand and cotton candy. The lot also has a Ferris wheel, “super slide” and bumper cars all available for $1 rides. Some evenings, the patch has karaoke or live music. Admission is free, and the patch is open from 9:30 a.m. to 10:30 p.m. including weekends. Check the Planet Pumpkin Facebook page or call 559-347-7500 for details. 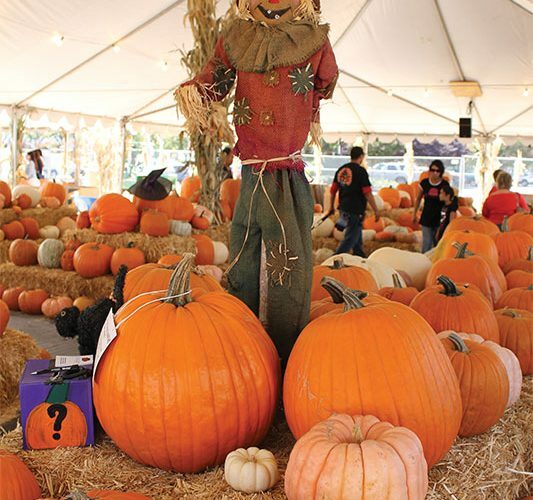 Located on the northwest corner of Blackstone and Shaw avenues in Fresno at 100 W. Shaw Ave., the Pumpkin King Pumpkin Patch has been bringing pumpkins to Fresno since 1985. With more than 12 pumpkin varieties and different types of squash and corn, the patch is not only rich in fall produce. It has pony rides, a maze, bounce houses and hosts a blood drive every Sunday from noon to 5 p.m. Admission is free, but for pumpkins and other activities, cash, credit cards and checks are accepted. The patch is open every day from 9 a.m. to 9 p.m.
Hobb’s Grove is famous with teenagers for its haunted hayride and forest, but the grove also features fun for younger kids or those who prefer not to be scared. 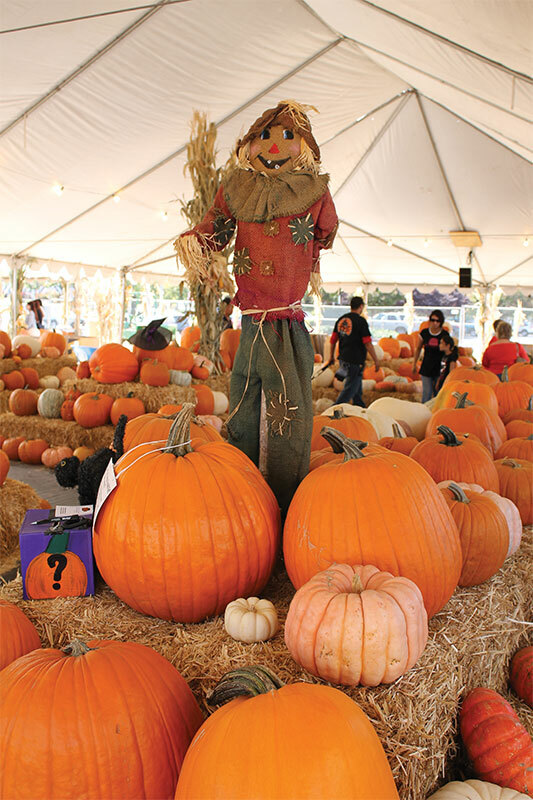 “The Pumpkin Grove” at Hobb’s Grove, located at 14265 E. Goodfellow Ave. in Sanger, has hayrides, a corn maze and a pumpkin patch. Complete with $3 steam train rides and hayrides, corndogs, tri tip, hiking and pumpkins, Hillcrest Tree farm in Reedley is waiting for you this autumn. The self-proclaimed oldest tree farm in the San Joaquin Valley, located at 6943 S. Reed in Reedley, Hillcrest is open to the public from 10 a.m. to 5 p.m. on the weekends and is open for school tours throughout the week. For more information or to schedule a tour, visit Hillcrest’s website, http://hillcrestreedley.com/, call 559-638-2762 or email hillcrestshops@aol.com. Just five miles west of Hwy 99 at 10635 W. Barstow Ave., Single Palm Pumpkins has more than 10,000 pumpkins ready and waiting on the vine. Pumpkins are $5 each. Free mazes, hayrides and animals are also available. The patch is open everyday until 6 p.m.
For more information, visit the patch’s website http://pumpkins.singlepalm.com/, or call 559-492-8723.